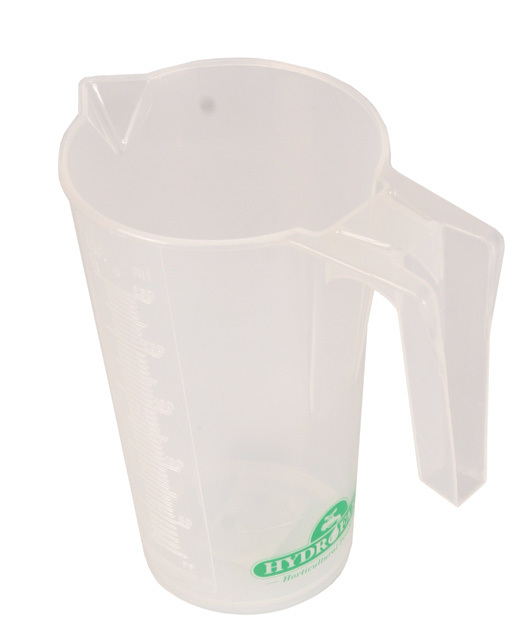 Pour on the success with Hydrofarm’s measuring cups. Available in multiple sizes to fit your needs, these sturdy, food-grade plastic cups will become your grabbable go-to option in the grow room, kitchen, and garage. Don’t worry about dropping these hardy tools — they’re made of non-breakable materials and feature a reinforced handle. Pour with confidence using the cup’s US and Metric markings and concentrate the flow of liquid or even soil and other nutrients through the cup’s set-in spout.